First of I want to take this opportunity to thank you all for the welcome that is having the game on the different platforms (Steam, itch.io, Zodiac Store and Game Jolt), and that we bear all the opinions in mind either praise or criticism, it is our first game and your comments help us tremendously. I must say that there are some minor bugs in the game that we hope to solve when we launch the first patch. We apologize in advance for these errors, but as I say we take note of all to fix them. Great game! I've played and completed the game. Nice gameplay and graphics. 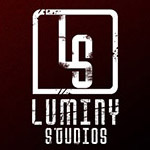 Hope to see more from Luminy Studios. I haven't had a chance to start this game yet (hopefully, this weekend), but I appreciate the time and effort that went in to it, and the fact that you offer it for free. Thanks Vairon. Can we find any gameplay video on Youtube! A week ago since Bloodwood Reload was released on Steam and we want to thank you all for your comments (positive and negative). Also we apologize for all the mistakes and bugs of the game, we will release a patch to fix them as soon as possible. Thanks again for your feedback and support.